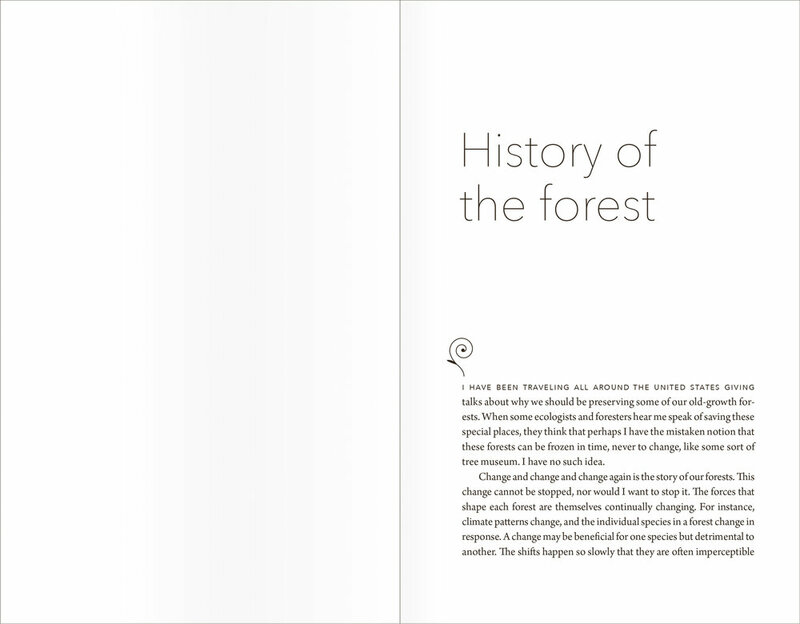 I create design systems for book interiors for a variety of markets and readers. I also design book covers and offer layout/typesetting services. Tap images to view more. 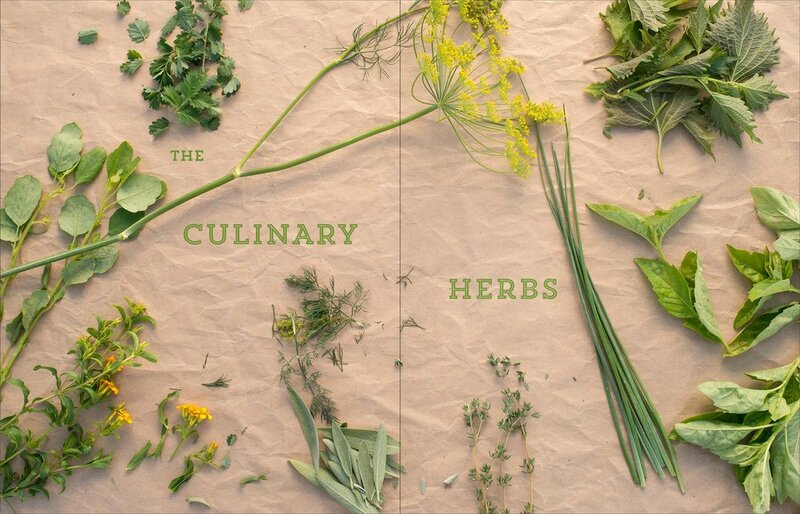 Cover design for The Culinary Herbal. Printed and laminated hardcover. Creative direction by Patrick Barber. Published by Timber Press. 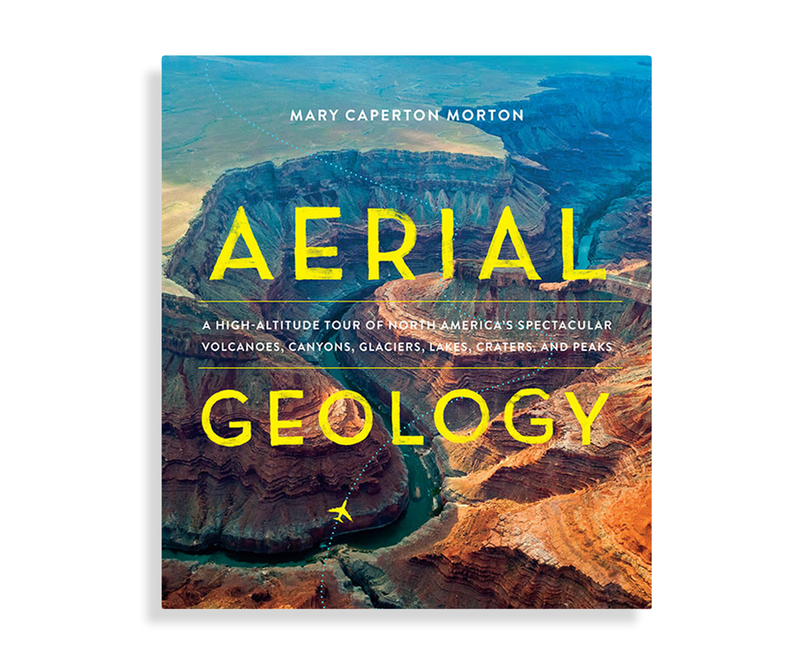 Cover design for Aerial Geology. Printed and laminated hardcover. Type treatment by Kimberly Glyder, creative direction by Patrick Barber. Published by Timber Press. 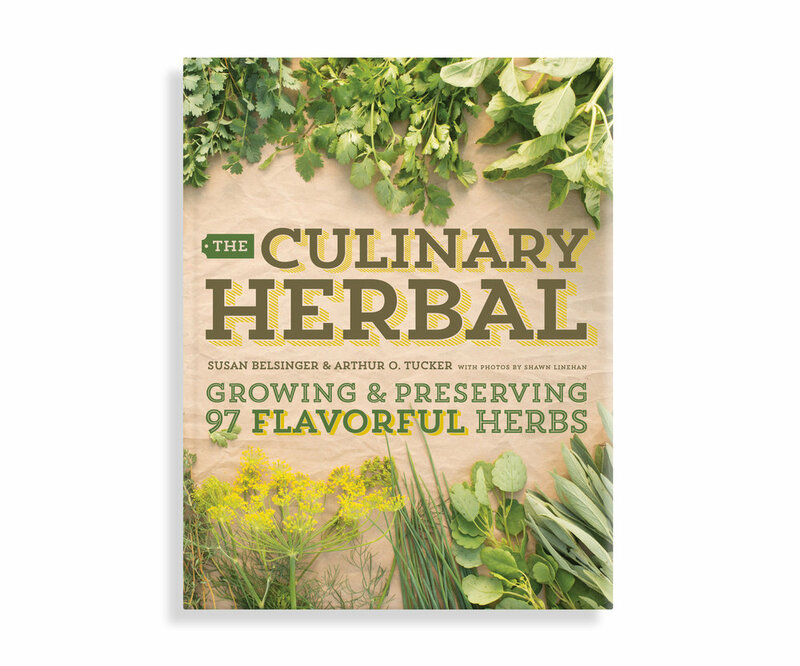 The Culinary Herbal showcases 97 herbs and spices and shares information about how to grow, preserve and use them in your kitchen. 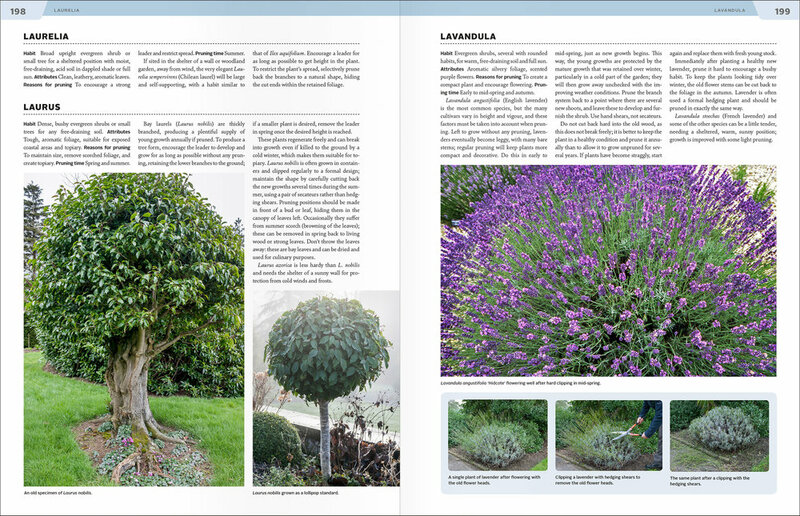 The plant entries make up the majority of the book. 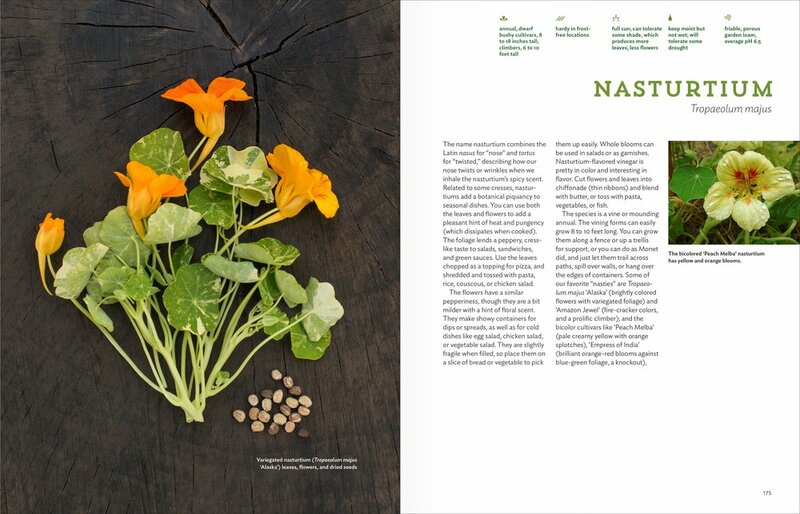 Each entry was restricted to either one full spread or two full spreads, which offered interesting design challenges depending on entry length. For easy reference I developed a "deck" (top right of main entry pages) and a set of icons indicating the plant's light, water, temperature, soil, and other requirements. 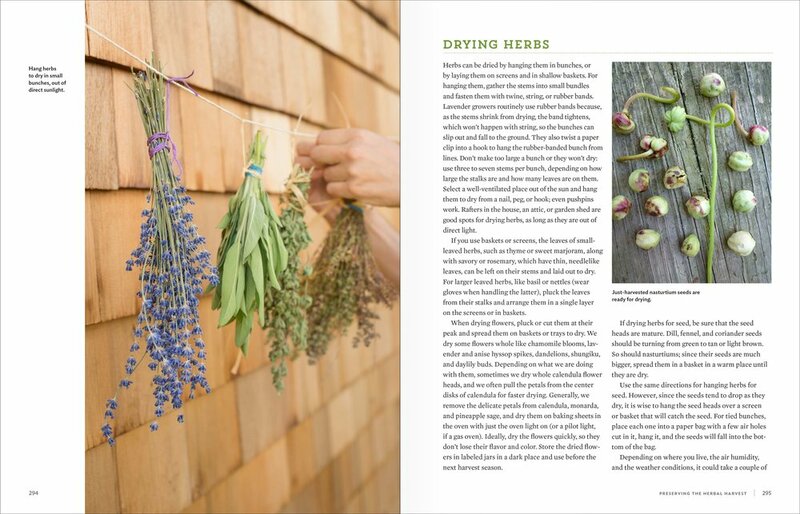 Sections toward the back of the book change up the column structure and overall design to better display the content for growing herbs, preserving harvests, and recipes. Photographs by Shawn Linehan, creative direction by Patrick Barber. Published by Timber Press. 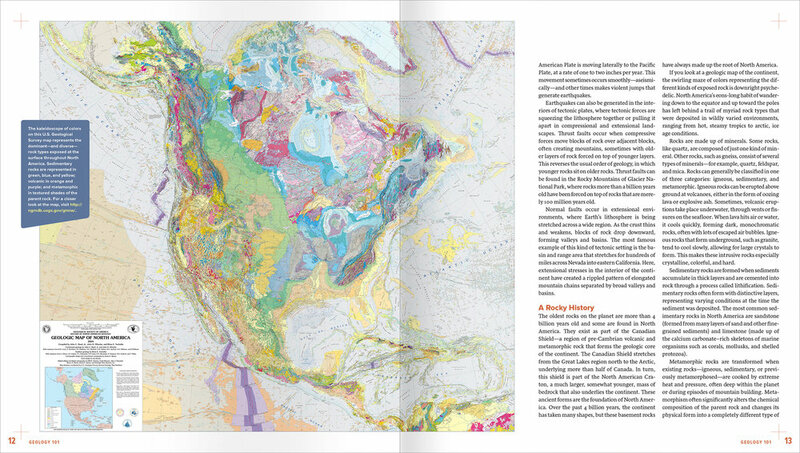 Aerial Geology is a large-format book showcasing nearly 100 North American geological wonders from a bird’s eye view. 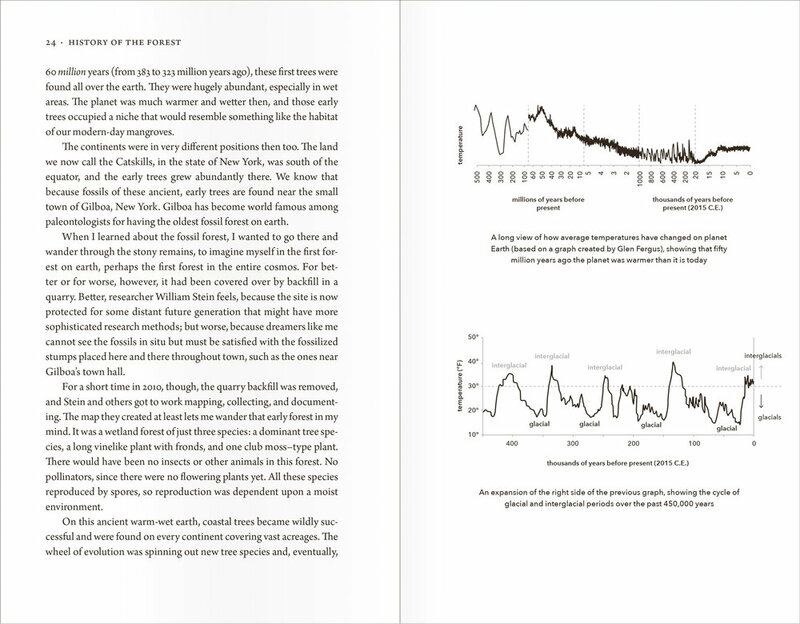 I worked closely with the author (Mary Caperton Morton), scientific illustrator (Kat Cantner), cartographer (David Deis), and the team at Timber Press to ensure all pieces would be puzzled together in an effective and engaging manner. 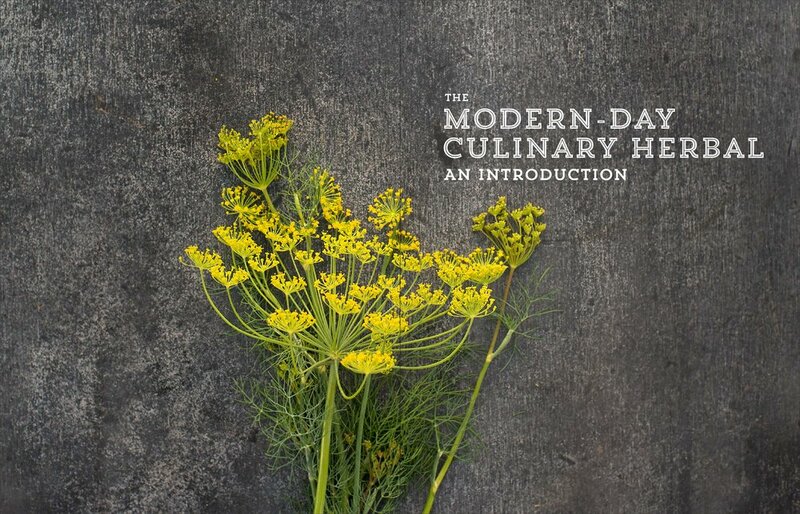 We envisioned this title to be a coffee table-like book that would be visually engaging and equally as informative. 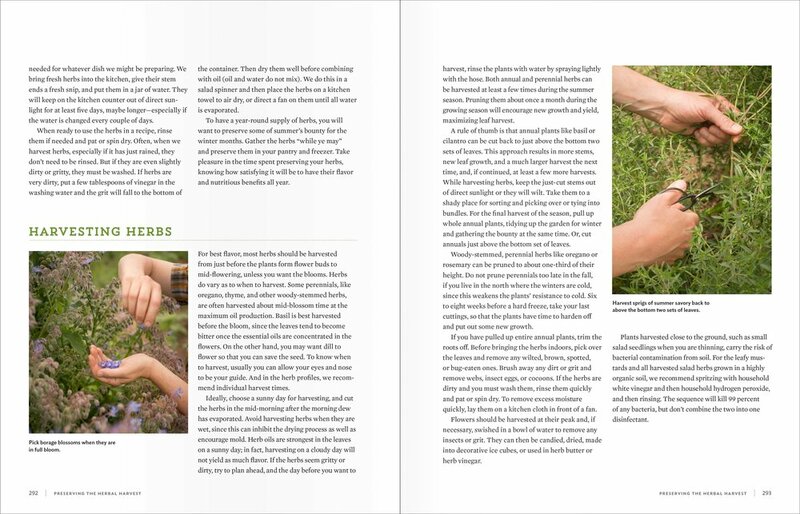 An asymmetrical 3-column layout offered the flexibility I needed to work with the variety of content and imagery of each entry. Creative direction by Patrick Barber. Published by Timber Press. Cover design for Nature’s Temples. Narrative non-fiction, jacketed hardcover. Published by Timber Press. 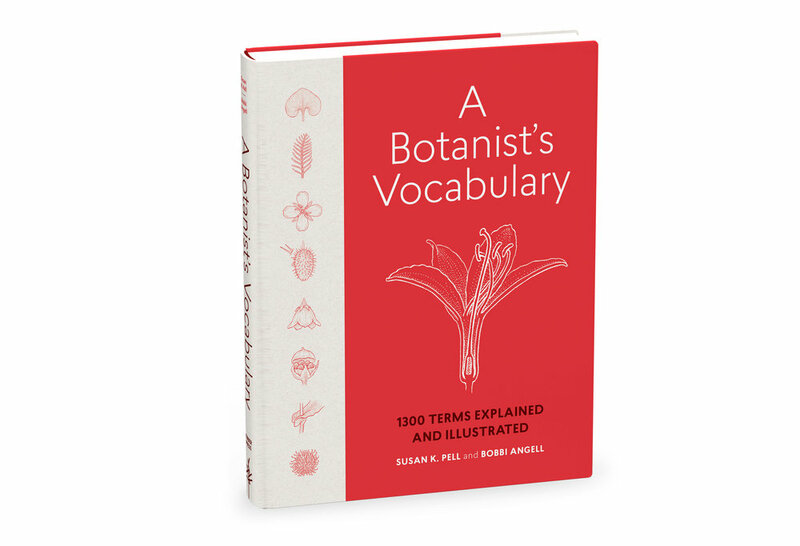 Cover design for A Botanist’s Vocabulary. Published by Timber Press. 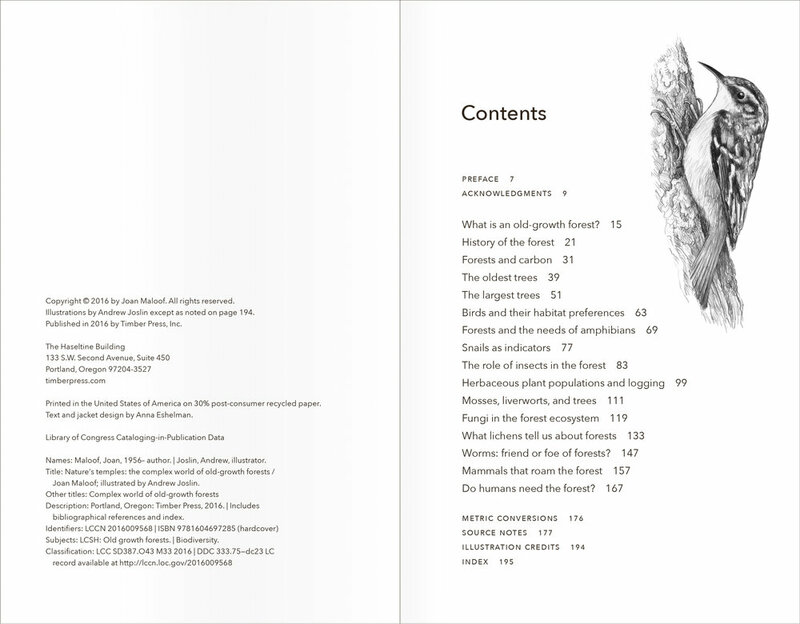 Design and layout for Nature's Temples: The Complex World of Old-Growth Forests by Joan Maloof. Joan is the founder and director of the Old Growth Forest Network, an organization that works to protect our remaining stands of primary forests. 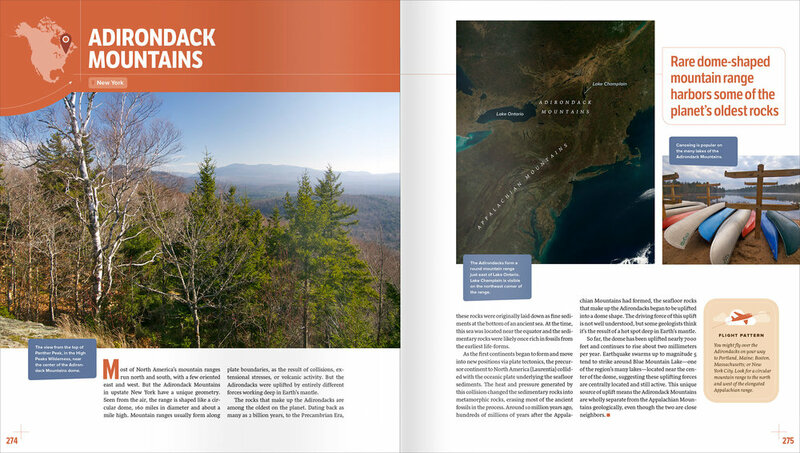 The organization also sets aside certain disturbed forests all across the country that will eventually grow into “future old-growth” forests. Their goal is to have one forest in each county (the counties where forests grow naturally) in the network so that eventually all people can have access to explore, enjoy, and learn from these important wild ecosystems. Creative direction by Patrick Barber. Published by Timber Press. 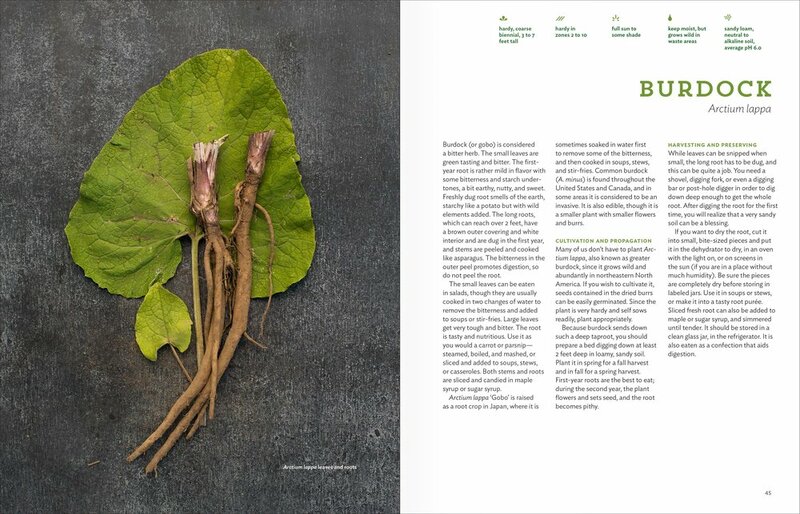 Design and layout for A Botanist's Vocabulary, a reference glossary that includes hundreds of beautiful line drawings by botanical illustrator Bobbi Angel. I developed a column structure with a wide outside margin that allowed for flexibility of the placement and scale of the illustrations. Published by Timber Press. 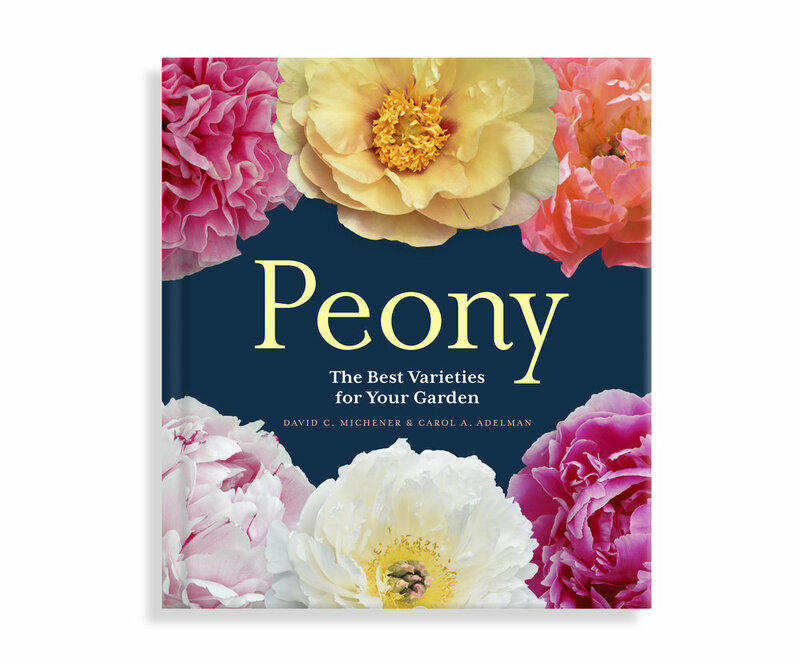 Peony is for collectors as well as enthusiastic home gardeners seeking growing advice and inspiration. Printed and laminated hardcover. Published by Timber Press. 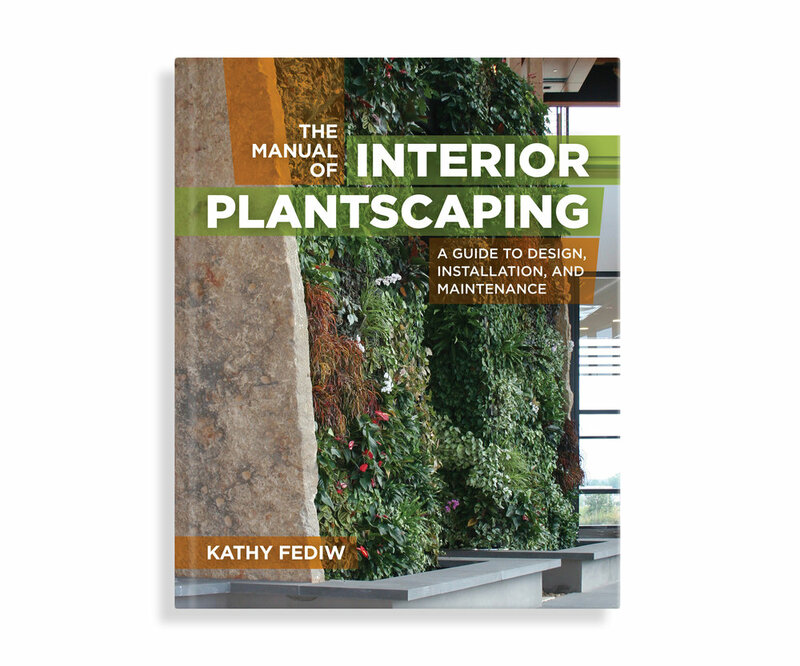 Cover design for The Manual of Interior Landscaping. Printed and laminated cover. Published by Timber Press. 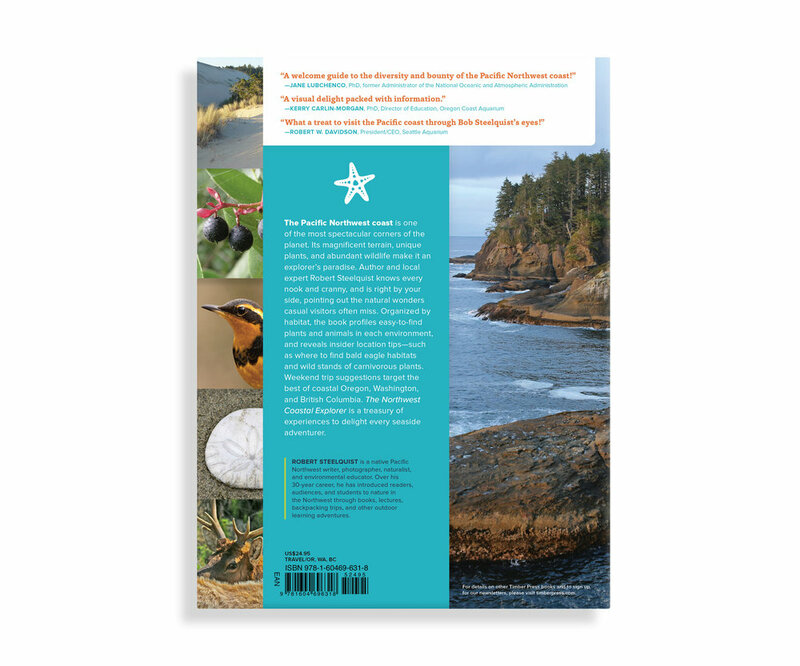 Cover design for The Northwest Coastal Explorer. Published by Timber Press. 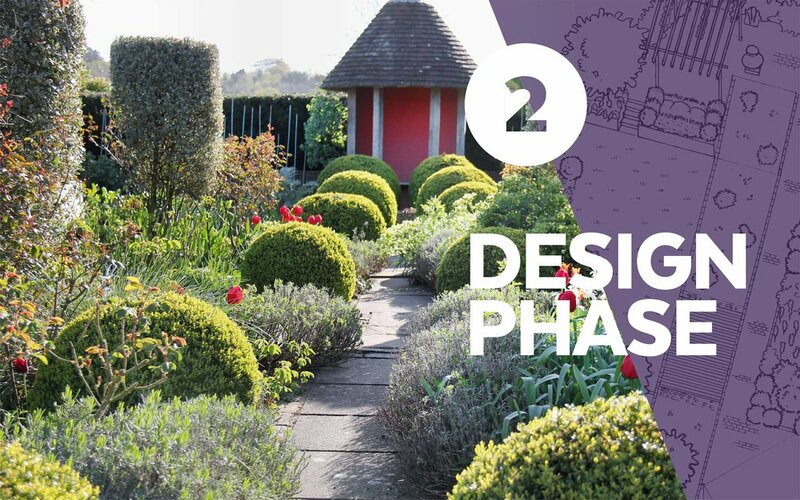 Cover design for The Essential Garden Design Workbook. Printed and laminated hardcover. Published by Timber Press. 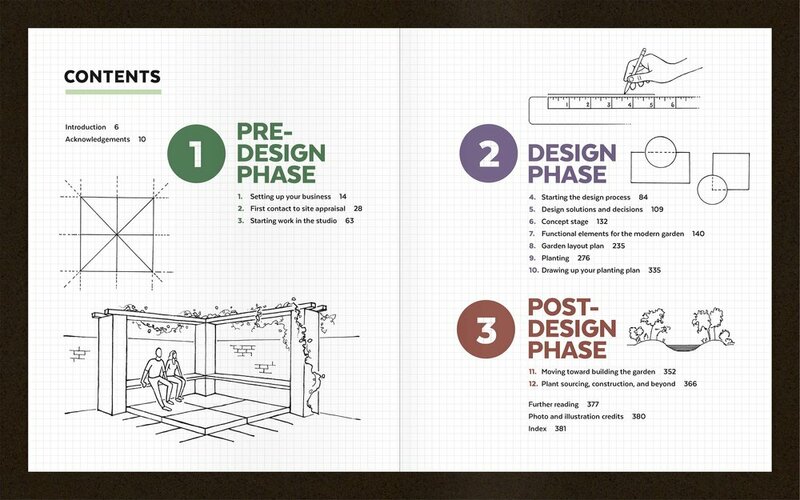 I designed the interior for the updated and expanded 3rd edition of The Essential Garden Design Workbook, an information-packed book that includes hundreds of line art illustrations, photographs, and garden plans for students, professionals, and garden design enthusiasts. We hired an illustrator (Kerry Cesen) to re-draw many of the illustrations from the previous edition in a consistent style while retaining the integrity and whimsy of the drawings in previous editions. 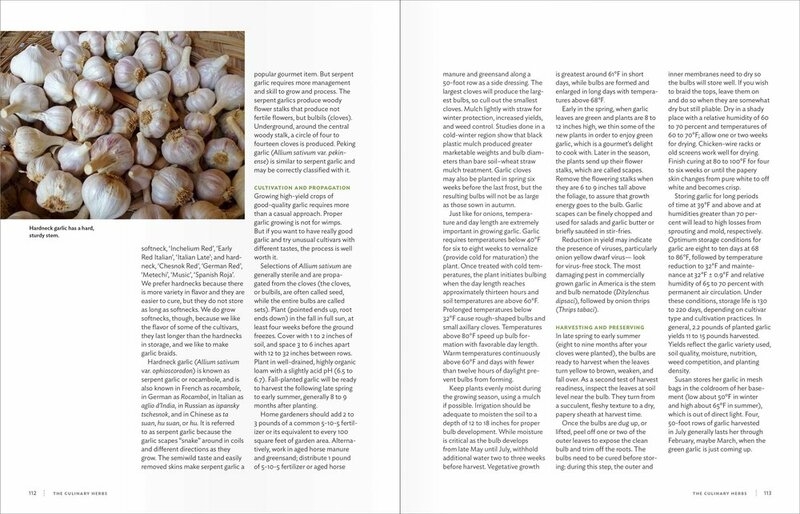 Layout kudos to Laura Shaw, creative direction by Patrick Barber. Published by Timber Press. Cover design for Natural History of the Pacific Northwest Mountains (A Timber Press Field Guide), based on a series design by Susan Applegate. Flexi-bind. Published by Timber Press. 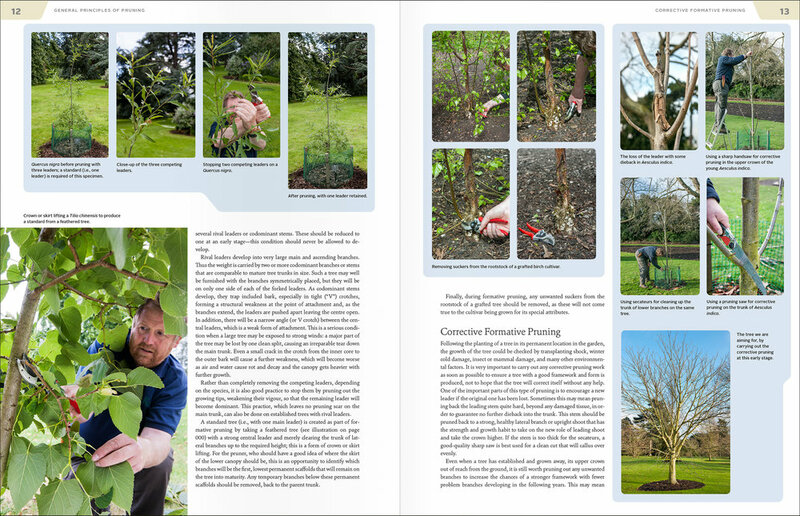 Cover design for Essential Pruning Techniques. Printed and laminated case. Published by Timber Press. 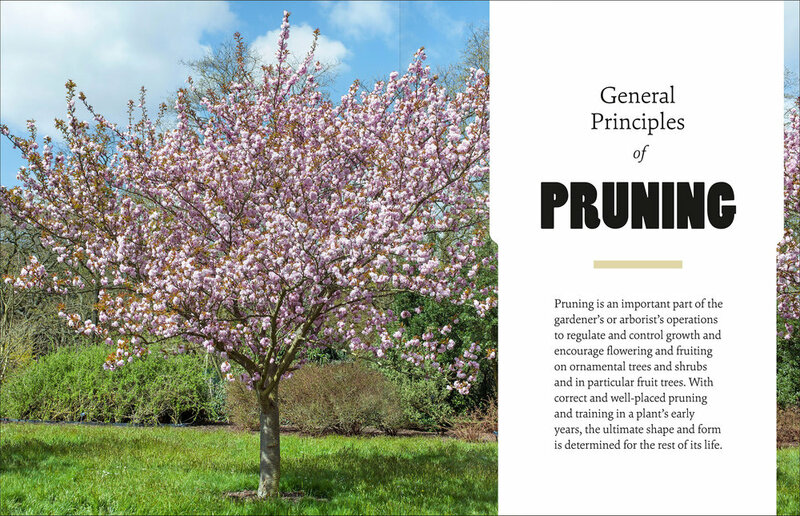 Design and layout for Essential Pruning Techniques, a 400+ page reference manual packed with information, color photographs, and step-by-step sequences offering pruning advice for trees, shrubs, and conifers. 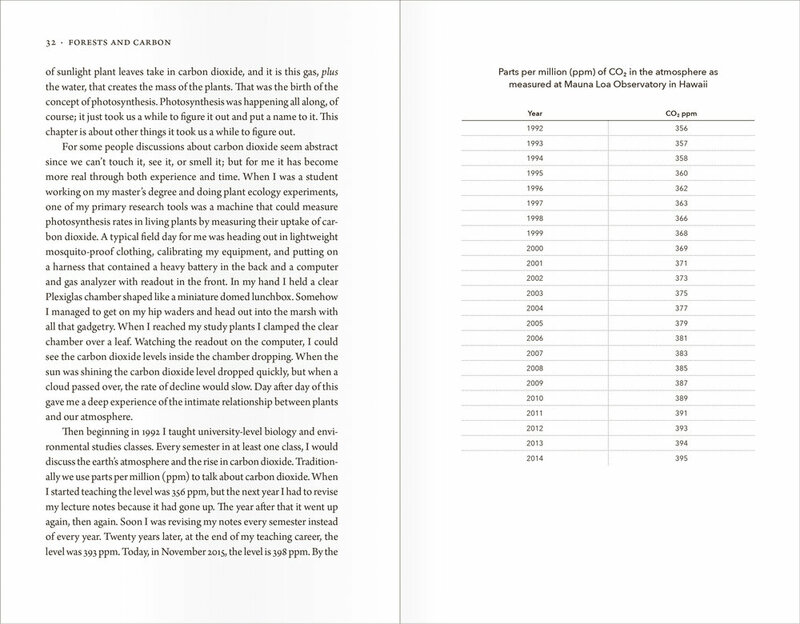 s a solution for handling very short entries in a large-format page height, I developed a 3-column grid for the content and formatted each entry so their headings split the page "newspaper-style" for ease of reading. 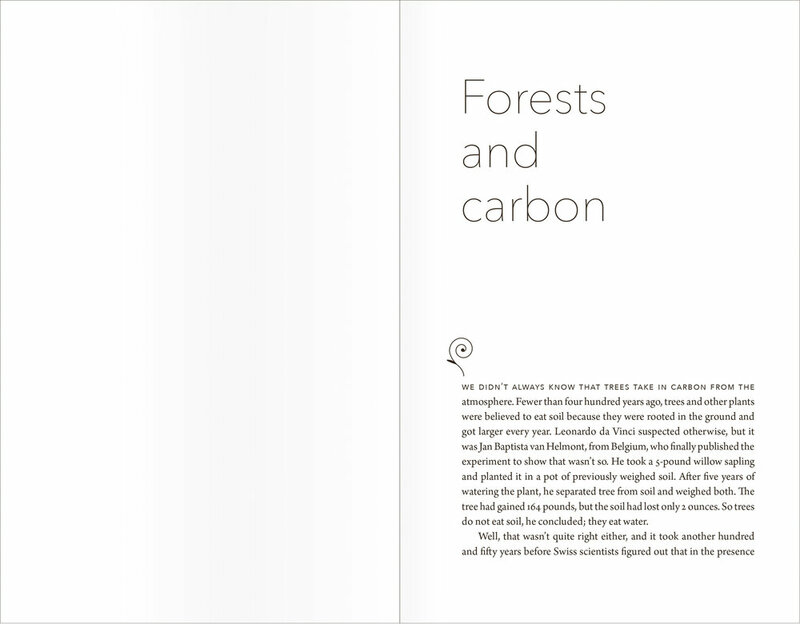 (Thinking of type and trees, this was too perfect an opportunity to not use Poplar!) Published by Timber Press. Cover design for Garden Revolution. Jacketed hardcover. Published by Timber Press. 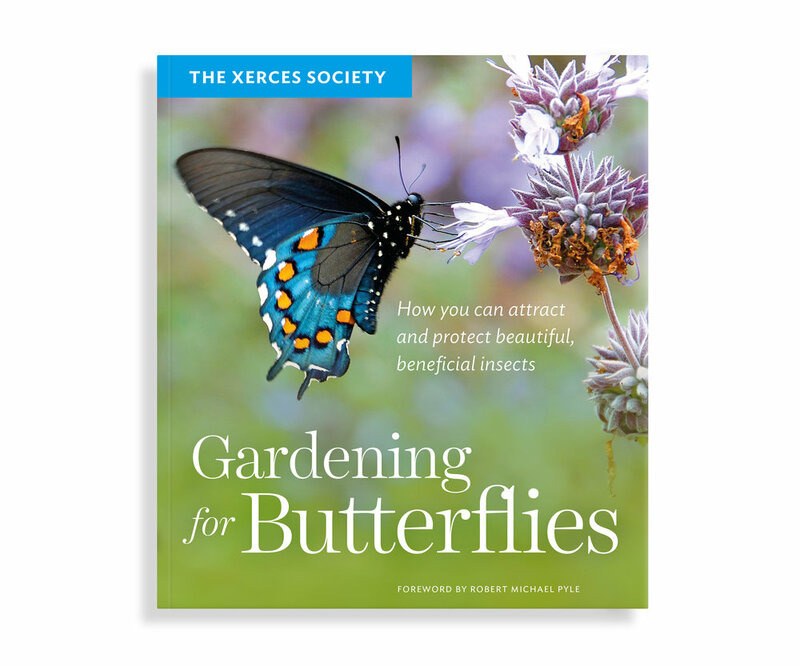 Cover design for Gardening for Butterflies. Published by Timber Press. Concept and design for Wind. From distributing seeds and moisture to powering the navigation of sailing ships, wind has been a necessity for the progression of life on Earth. This body of work is an exploration of the essence and importance of this invisible force. 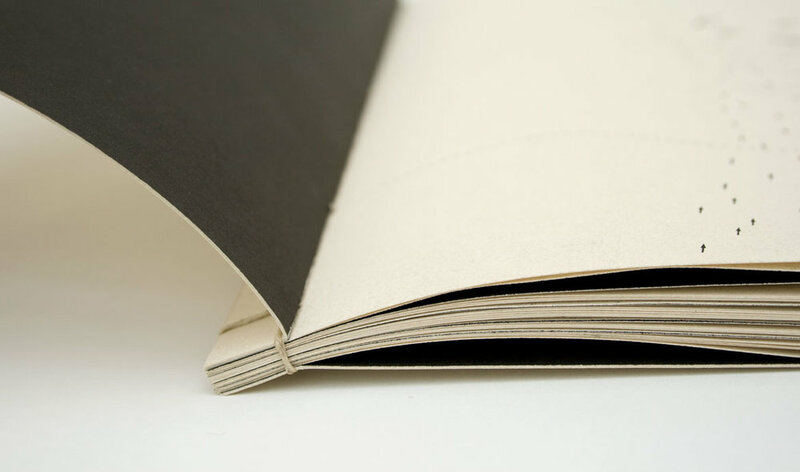 Book concept, design, and binding by me. 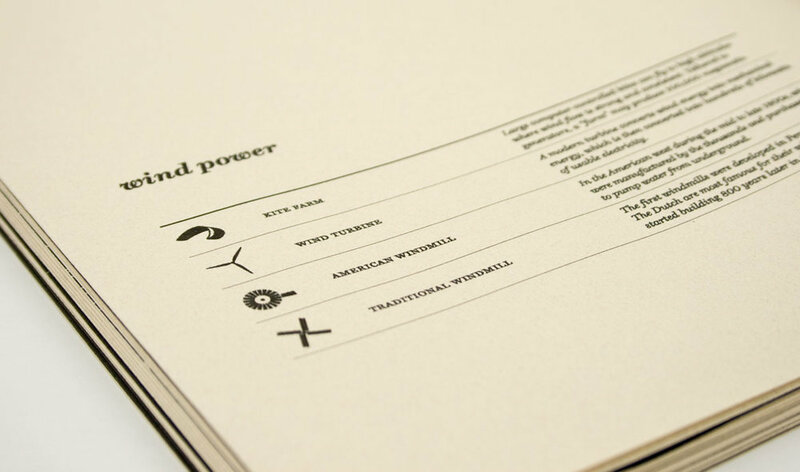 Printed on 100% recycled paper created with wind energy. 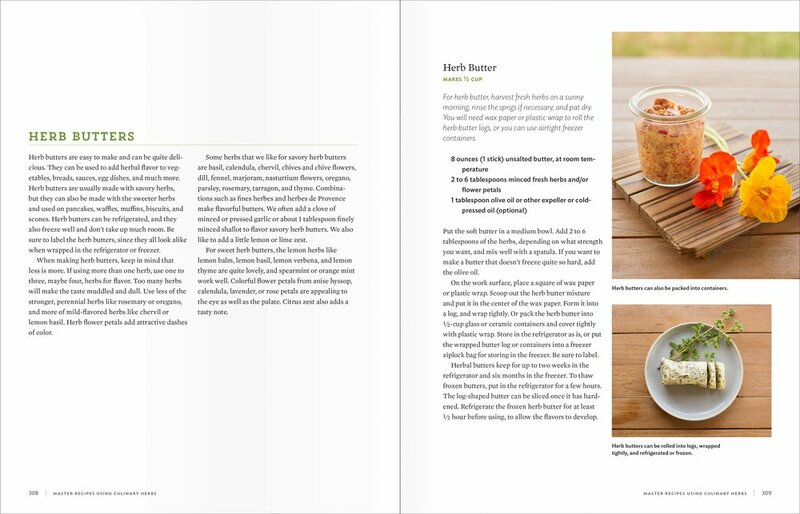 I create design systems for book interiors for a wide variety of markets and readers. I design book covers for publishers and individuals. I offer layout and typesetting services for interiors that have been designed by another party. Be in touch if you’d like to work together on a book project.